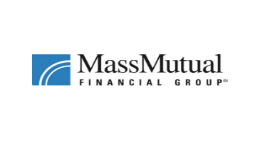 Founded in 1851, Mass Mutual is a mutually owned financial protection, accumulation and income management company headquartered in Springfield, MA. Since 1851, Mass Mutual Financial Group has grown and thrived – surviving wars, depressions, recessions and changing market conditions. Throughout, the company’s main focus has never wavered: to help people to take the next step toward a more secure financial future. Mass Mutual companies provide a broad portfolio of life insurance, annuities, disability income insurance, long term care insurance, retirement planning products, income management and other products and services for individuals, business owners, and corporate and institutional markets. But whole life insurance policies continue to be the company’s foundation. That’s good for all its clients, because the value that policyholders build up in their whole life policies not only provides them with flexibility to help meet living needs, it also strengthens Mass Mutual’s financial position. Since 1990, the company has broadened its revenue base and long-term stability by acquiring highly-respected asset management firms, including Oppenheimer Funds, Inc. and Baring Asset Management Limited, as well as successful Asian and European financial services companies. And in 1996, MassMutual acquired Connecticut Mutual Life Insurance Co., creating the fifth-largest mutual life insurance company in the United States. Mass Mutual’s guiding principle is to do the right thing for its policyholders. Because the long-term interest of its policyholders is one of its top priorities, maintaining the financial strength and stability of the company is critical to meeting future obligations.